Mercedes-Benz of Easton is proud to partner with Hollywood Casino Columbus for the VIP Luxury Car Sweepstakes where you could drive home in a 2019 Mercedes-Benz CLA 250 or receive $25,000 in cash. Beginning on Friday, September 28, 2018 at 6:00 AM, Hollywood Casino Columbus will send VIP Marquee Rewards members an invitation to participate in the VIP Luxury Car Sweepstakes. Marquee Rewards members will earn one (1) entry for every 500 tier points earned through slot play, video poker, or table games during the promotional period. Every Thursday throughout the month of October, Marquee Rewards members will receive 3X bonus entries during the promotional period. Activate your entries one hour prior to the drawing at any slot machine at Hollywood Casino Columbus. Don’t wait! The drawing will be held October 26, 2018 at 10:30 PM in the Promotions Area at Hollywood Casino Columbus. Hollywood Casino Columbus will send VIP Marquee Rewards members an invitation to participate in a VIP Luxury Car Sweepstakes beginning on Friday, September 28, 2018 at 6:00 am – Friday, October 26, 2018 at 10:29 pm. Must be a member of the Marquee Rewards club. Must be 21 years of age or older to obtain a Marquee Rewards card. No purchase necessary to receive a Marquee Rewards card. For every five hundred (500) tier points earned through slot play, video poker or table games play during the promotional period, Marquee Rewards members will earn one (1) entry. Qualifying Marquee Rewards members can win a total of one(1) prize on giveaway date. An offer will be sent to select customer based on historical play. Invited members will earn one (1) entry for every five hundred (500) tier points earned playing slots, video poker or table games throughout the promotional period at Hollywood Casino Columbus. Entries will be accumulated throughout the promotional period beginning on Friday, September 28, 2018 at 6:00 am and ending on Friday, October 26, 2018 at 10:29 pm. Entries for the 10:30pm drawing must be activated within one hour before the drawing. Ten (10) winners will be chosen by the Random Prize Generator on Friday, October 26, 2018 at 10:30pm. Each of the ten (10) winners will have five (5) minutes to claim their prize. Winners that do not claim within the five-minute claiming period will forfeit their prize and redraws will occur until all ten (10) winners have claimed. Once all ten (10) winners have been verified, each of the winners will receive a Grand Finale Drawing entry. All ten (10) Grand Finale Drawing entries will be deposited into a drawing drum. The Grand Finale Drawing will award winners in reserve order, with the tenth and final winner drawn receiving their choice of $25,000 cash or a 2019 Mercedes-Benz CLA 250 valued at approximately $42,287 as of 9/18/18 prices. 2019 Mercedes-Benz CLA 250, Vin #WDDSJ4GB6KN722783 will be provided by Mercedes-Benz of Easton. 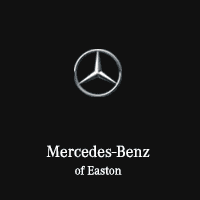 If the winner opts for the vehicle, he/she will be directed to Mercedes-Benz of Easton where Hollywood Casino will send payment for the retail price negotiated. The winner is responsible for any and all related taxes, registration, title, license, insurance required by the State of Ohio in the purchase of a new car. Any add-ons or upgrades to the above listed car would be at the expense of the winner. Winners are responsible for all federal, state, and local taxes. Persons on the Ohio Voluntary Exclusion List are not eligible to participate in this program. returns a positive result, then the prize will be defaulted to the cash value and that outstanding amount will be automatically deducted. State and local taxes will be based on the full prize amount and automatically deducted. Cash Prize option will be only available to ODJFS intercepted individuals unless otherwise stated in the above rules. Employees of Hollywood Casino Columbus, its subsidiaries, affiliates, or parent companies are not eligible to participate in this program. Family members of Hollywood Casino Columbus employees are not eligible to participate in this program.